Description: The Johannes Oentoro Library held a Forum Group Discussion with "Kompetensi Literasi Informasi Pustakawan Universitas Swasta di Lingkungan Kopertis Wilayah III" as its theme. Twenty-six private universities participated in this event. Each university representatives were given a survey to obtain a valid and reliable research result to assess the competency of information literacy, mainly those under Kopertis III region. Moreover, the assessment itself is based on 2015 librarianship competency-based released by PNRI (Perpustakaan Nasional Republik Indonesia/ National Library of Indonesia). 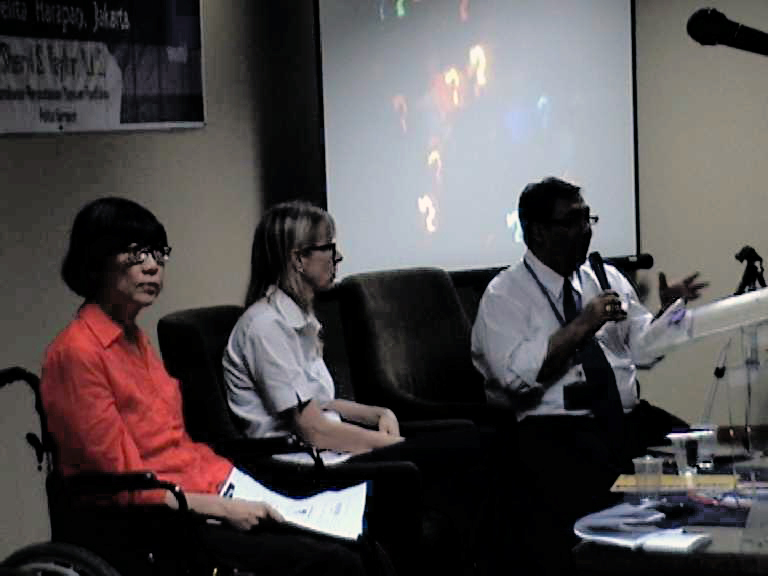 The survey then followed by Panel Presentation brought by Diao Ai Lien, Ph.D. as Koordinator Jaringan Perpustakaan APTIK & Head of Universitas Atma Jaya Library and Sheryl S. Taylor, M.L.S. as the Library Coordinator at Yayasan Pendidikan Pelita Harapan. Diao Ai Lien, Ph.D. talked of the importance to examine information literacy for higher education through research-based application. Furthermore, Sheryl S. Taylor, M.L.S. highlighted the importance of information literacy and its influence over society in obtaining information and learning. Private universities such as Universitas Agung Podomoro, Universitas Bakrie, Universitas Darma Persada, Universitas Esa Unggul, Universitas Indraprasta PGRI, Universitas Kristen Indonesia, Universitas Matana, Universitas Prof Dr. Moestopo, Universitas Suryadarma, Universitas Tarumanegara and Universitas Yarsi then further discuss the content of Panel Presentation. Description: The Medicine Faculty library moved to it's new location on the UPH Medicine Building 1st Floor. The inauguration takes place after the moving process were completed. 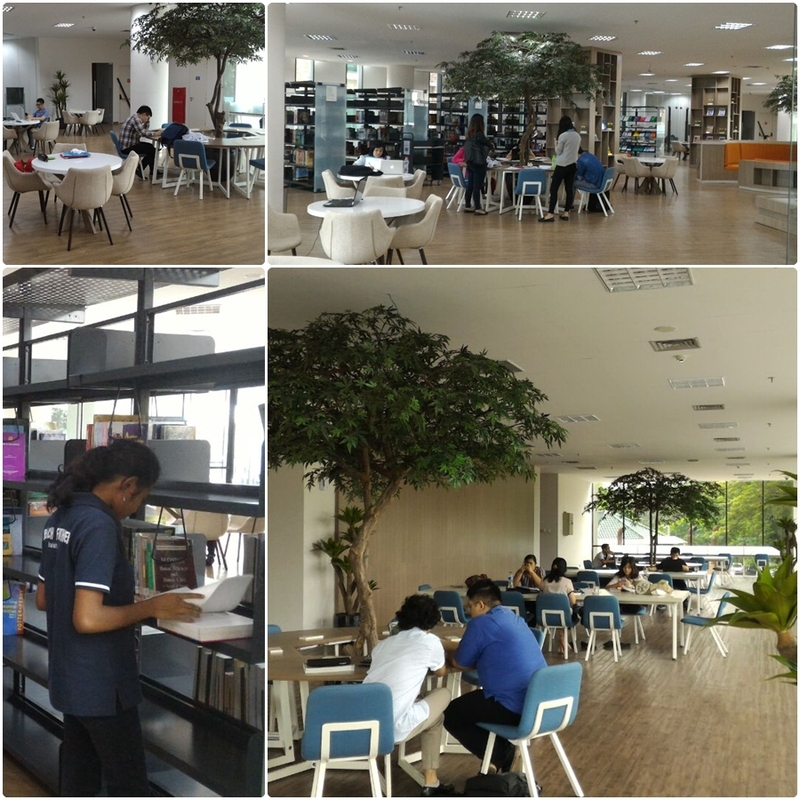 Now, the students and faculty of medicine and nursing can enjoy a new, spacious library with a lot of room to read and holding discussion. Description : The Johannes Oentoro Library team held a seminar and workshop for church which train them to build a library based on web automation. This seminar and workshop was attended by GKI Gading Serpong, GKI Serang, GKI Citra Raya, GKI Kota Wisata, GKI Samanhudi, GKI Serpong, PPA. Description : LIBANEV 2015 brought you exciting events with the theme "Welcome to the Library" collaborated with UPH BEM. The library campaign was an event to invite people to visit the Johannes Oentoro Library through stickers, property and other medias. A lucky draw events for library users who borrowed books. The creative writings are in the form of fiction which can contain response, hope, or symbolization of a message or certain condition based on the topic above.